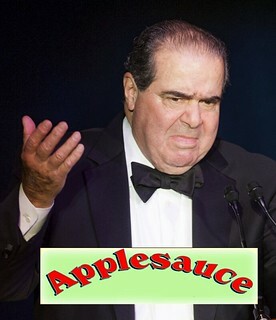 Scalia, always le mot juste. Republicans have bloviated about the evils of the Affordable Care Act (aka Obamacare) for years now, even with the program’s obvious success. They’re promised an alternative, but never delivered. But GOP insurgents have elevated an awkward phrase in the 900-pages of ACA legislation into a Supreme Court case, and a decision in King vs Burwell is expected in late June or early July 2015. If Republicans win that case they lose, since that would really hammer the residents of Red States and put GOP governors in a bind. 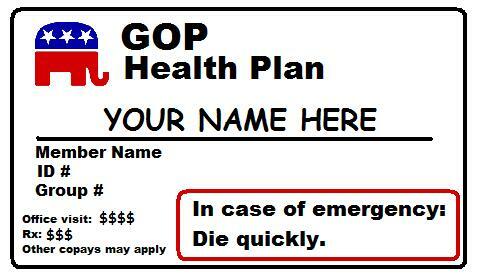 So surely the Grand Old Party has come up with Health Plan B, right?